When chefs get a day off, where do they dine? And what do they eat? 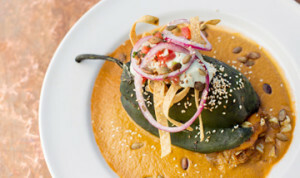 We asked four acclaimed chefs to share their favorite Arizona dishes. 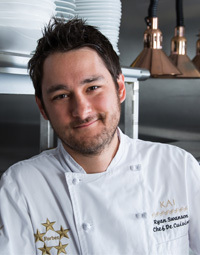 Who he is: The Chef de Cuisine at Kai at Sheraton Grand Wild Horse Pass in Chandler. Kai holds the distinction of being Arizona's only Forbes five-star-rated restaurant, along with other accolades, including a five-diamond rating by AAA and the top ranking in Arizona in Zagat Guide. Arizona dishes he eats: "I'm a creature of habit," Swanson says. "I like to go to my favorites. China Magic Noodle is close to home. It's a small, family-owned place, the real deal. The noodles are fantastic; they are handmade and hand-pulled." Where he drinks: "I like to visit my buddy Alex's place, Sip Coffee & Beer Garage. I'll go there just to get a beer, but sometimes I'll travel downstairs to UnderTow for the Smoking Cannon cocktail. Undertow is a good spot to talk to the bartender and relax. That's one of my favorite bars. It's just a cool place." 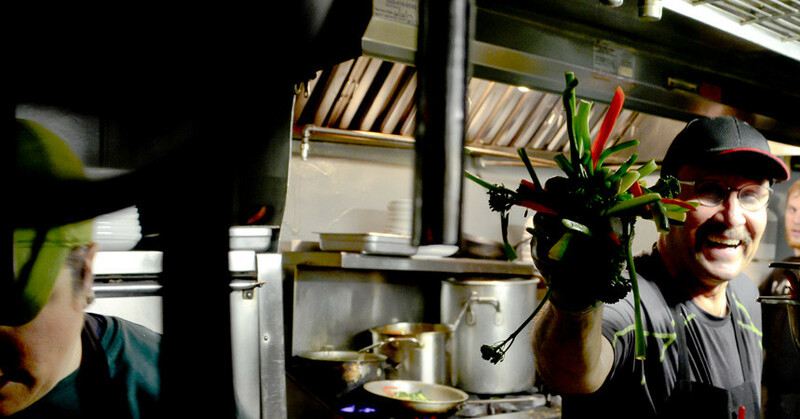 Who he is: The self-trained chef and owner of Pizzicletta in Flagstaff. 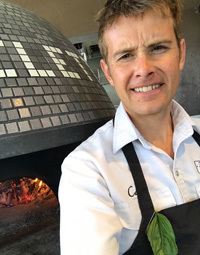 Not only did Schiff teach himself how to make the delightfully airy and crispy pizza crust his restaurant is known for, but he also built his first wood-fired oven by hand in his backyard. Arizona dishes he eats: "At Paul Moir's Brix, Chef Logan Weber makes the lightest, most delicious falafel I've ever had," says Schiff. 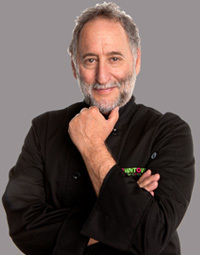 "Because I eat a mostly plant-based diet, I steer towards vegetable dishes. But the falafel is so indulgent I don't even desire meat." 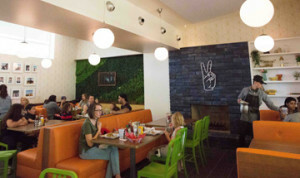 Thoughts on Flagstaff's food scene: "It's growing. And I'm on the side of 'a rising tide raises all ships,' so I like being wowed by a new place in town. Lately, I think Tourist Home has really hit their stride. And Scott Heinonen is doing great things at his new digs, The Cottage." Who he is: The chef and owner of Downtown Kitchen + Cocktails in Tucson. For the past several decades, James Beard-award winner Janos Wilder has made a name for himself as a formidable talent in the kitchen, especially when it comes to Southwest cuisine. Arizona dishes he eats: Everything. He says: "My favorite taqueria in Tucson is Tacos Apson. I can never resist the grilled beef rib taco. Taqueria Pico de Gallo [no website - 2618 S. 6th Avenue, Tucson] make their corn tortillas by hand. El Guero Canelo is an old favorite for the tortas, and the cross-section of Tucson you find there. I like Reilly's for pizza and craft cocktails, and Kingfisher for the consistent and delicious food, properly prepared drinks and Marianne's desserts." His wife's favorite food: "At OBON, my wife loves the ramen." 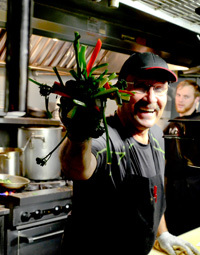 Who he is: Chef and owner of Café Roka in Bisbee. Open since 1992, Café Roka attracts diners from across the state with its bold and surprising flavor combinations, historic setting and live jazz every Friday night. 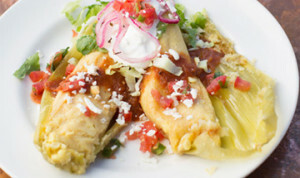 Arizona dishes he eats: "I'll try new dishes on a menu," Kass says. "I don't have a special dish that I yearn for, but it's interesting to see what the house specialty is. So I'll order that." Fave restaurants: In nearby Tucson, Kass likes 5 Points Market & Restaurant or Baja Café for breakfast and lunch, along with Vivace and The Coronet. Christina Barrueta is an award-winning freelance food, beverage and travel writer. We asked Tucson Foodie’s lead blogger, Jackie Tran, to recommend his favorite cookbooks. Over the years, Gilbert’s Heritage District has transformed from a sleepy town to an exciting food hub. In one weekend, you can embrace the delicious results.